Russia-made S-300 surface-to-air missile systems supplied to Iran have annihilated a ballistic missile fired by an improvised enemy during its first ever drills, Brig. Gen. Farzad Esmaili, the commander of the Iranian Air Defense Force, said Saturday. MOSCOW (Sputnik) — Earlier in the day, Iran successfully test-fired the S-300 surface-to-air missile systems bought from Russia. The drills took place at the Khatam al-Anbia Air Defense Base, where Iran's Air Defense Force is headquartered. A drone was also destroyed during the drills. "The S-300 missile smashed the ballistic missile," Esmaili said, as quoted by the Tasnim news agency. The system is capable of hitting even the smallest aerial objects as well as cruise missiles, making it lethal for any potential enemy, he added, noting that the S-300 will now ensure Iran's secure air defenses alongside Iran's short-range Mersad and long-range Talaash air defense systems. 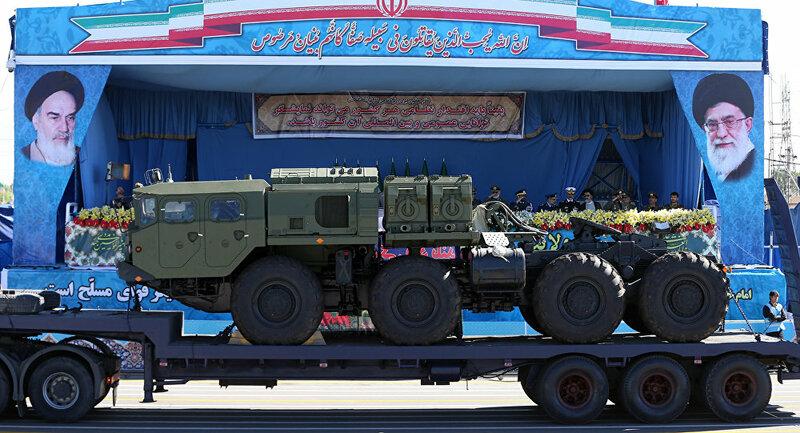 The commander also stated that Iran soon plans to test its own Bavar 373 air defense system, unveiled in August 2016, which was developed based on the S-300. The contract to deliver five Russian S-300 systems to Iran was signed in 2007. It was suspended after the adoption of UN Security Council sanctions on Iran in mid-2010. In April 2015, Russia resumed the talks on the S-300 deliveries following an interim agreement on the Iranian nuclear program. In December 2016, Iran's ambassador in Moscow Mehdi Sanayee said that Russia had finished executing the contract on supplying Iran with divisions of S-300 missile systems to Iran.